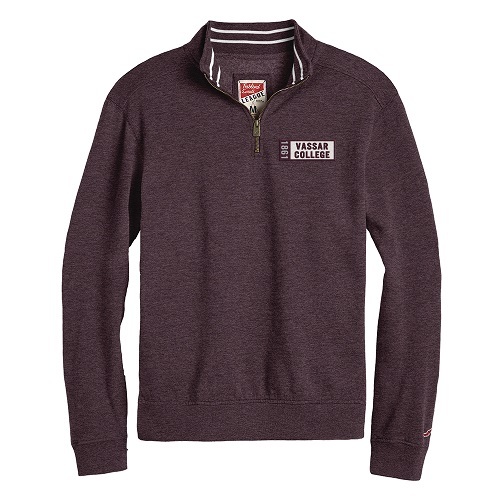 Please select option for CHAMPION MEN'S 1/4 ZIP FLEECE. 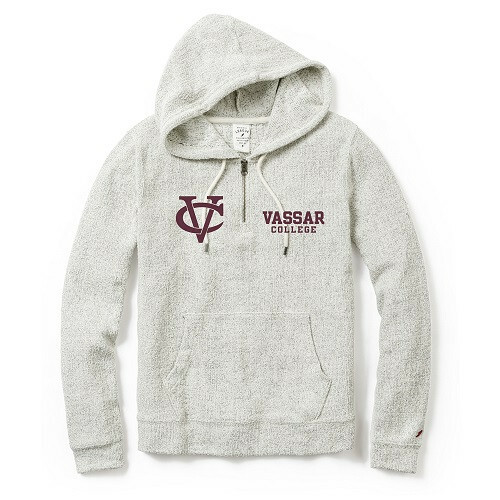 Please select option for GREG NORMAN CONTEMPORARY. 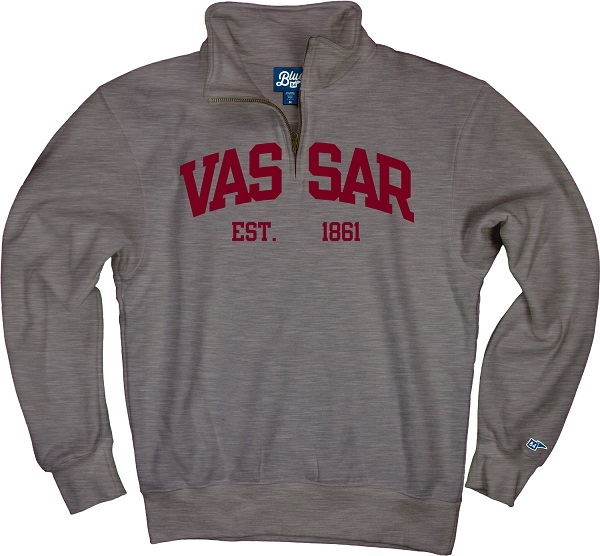 JANSPORT CAMBRIDGE SHAWL COLLAR IN GRAY OR NAVY, classic Embroidery makes this a perfect layering piece or pullover. 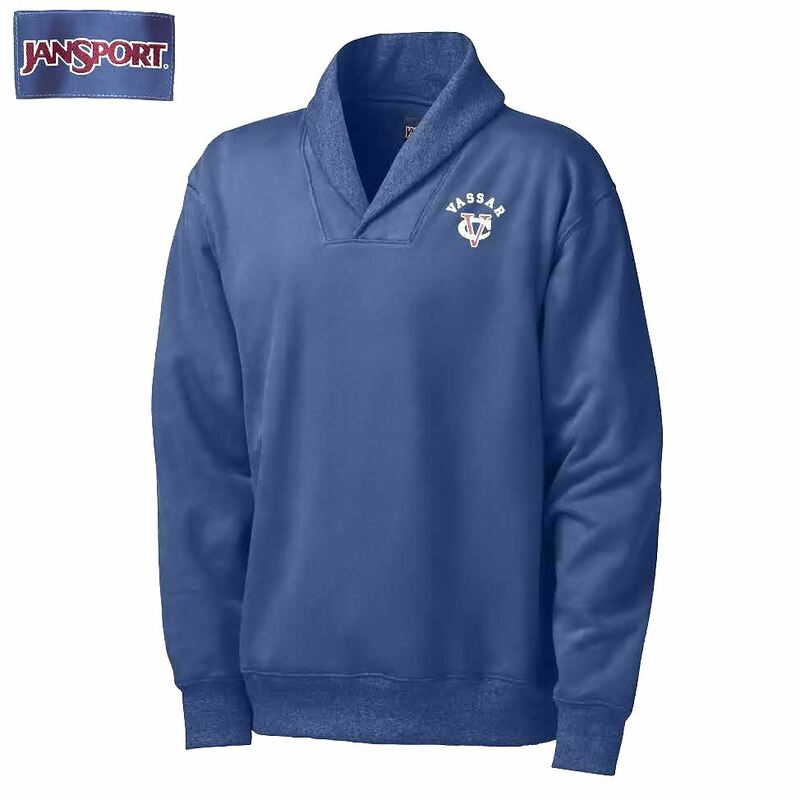 Please select option for JANSPORT CAMBRIDGE SHAWL COLLAR. 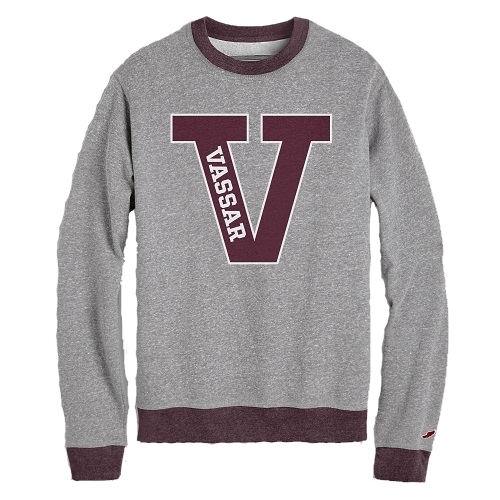 The gray heather offsets the embroidered and appliqued Vassar Letters, White outline with Maroon fill. 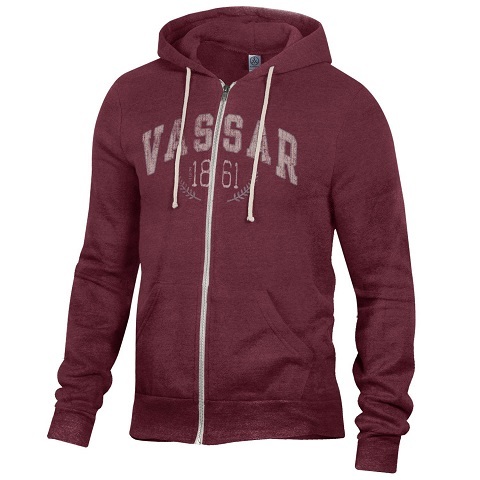 Soft and comfortable the LEAGUE Manchester Hoodie is a cotton rich blend of 80% cotton and 20% polyester. 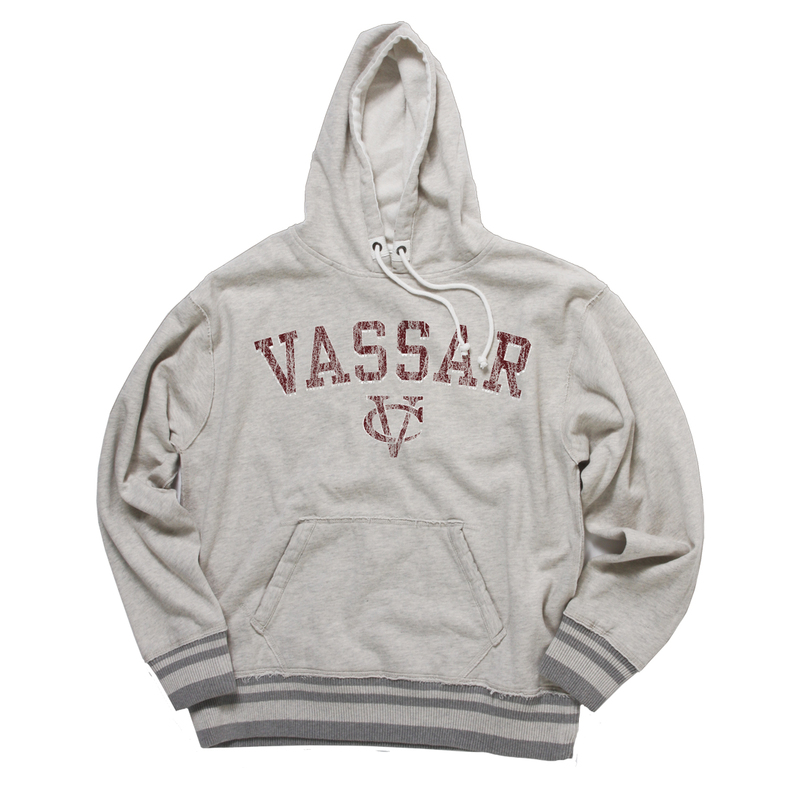 The extra large drawstrings for the hood and the full front pocket make this a great layering piece. 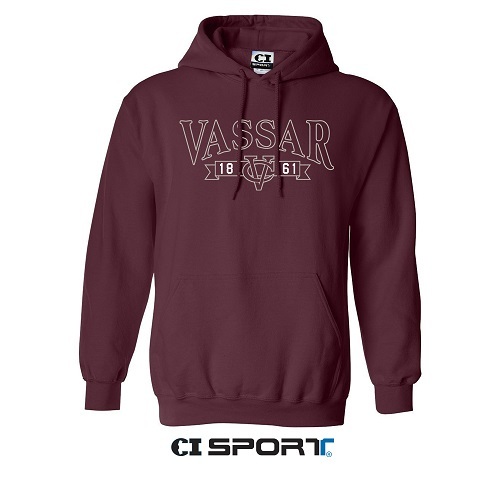 Please select option for LEAGUE MANCHESTER HOODIE. 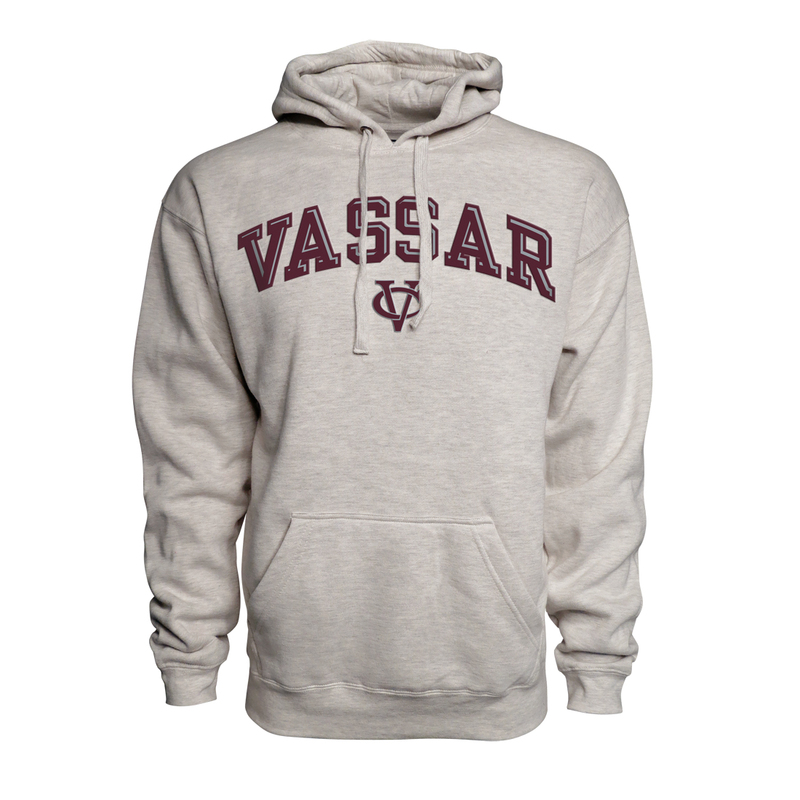 The 80/20 cotton/poly blend add to the softness and comfort of this vintage Maroon Hoodie. 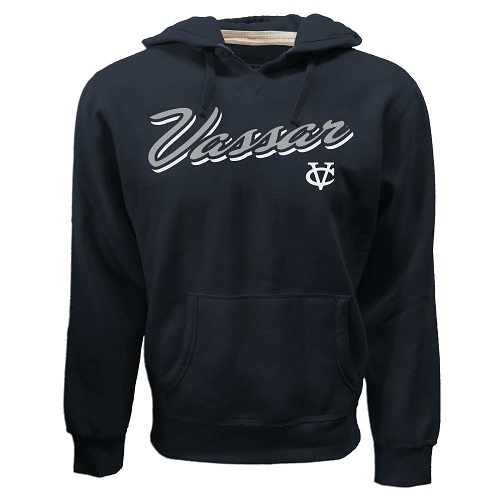 This was a special purchase and only a handful remain. 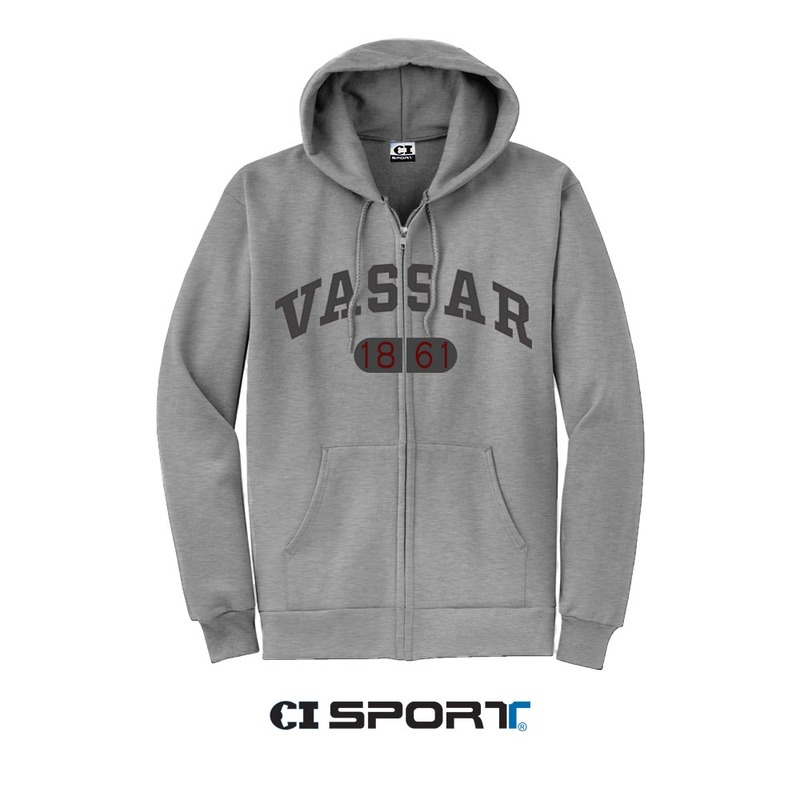 Please select option for LEAGUE ROCKLAND HOODIE. 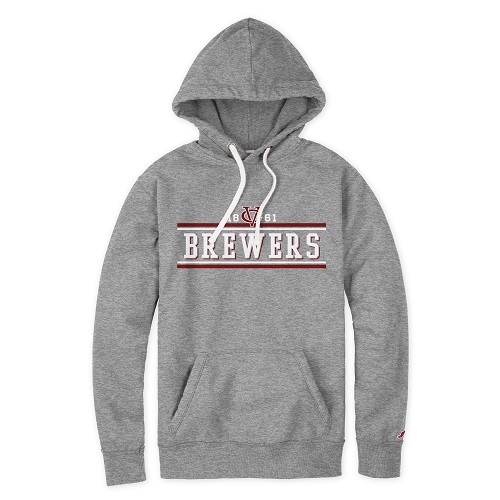 The logo on this Crew neck has so much detail, it even includes the Brewers. 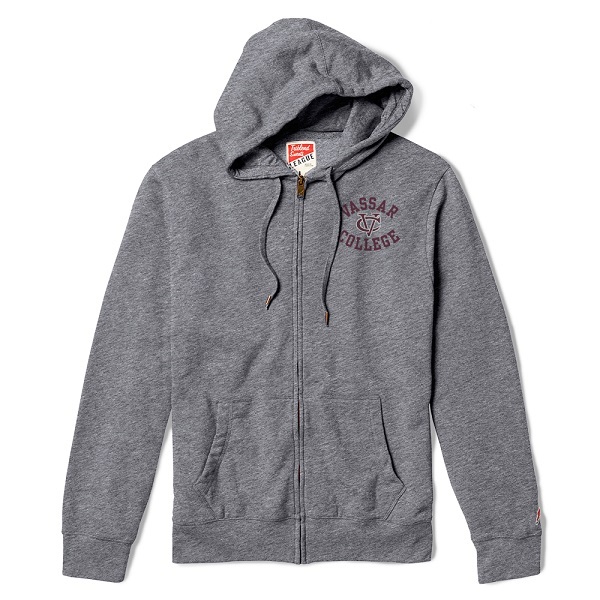 The League family of products are all about comfort and detail. 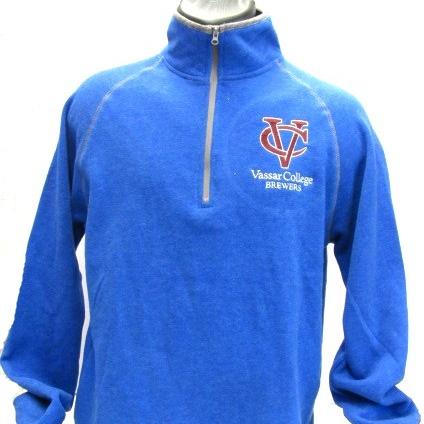 This fleece will not disappoint, its fabricated of a 80/20 cotton/poly blend. 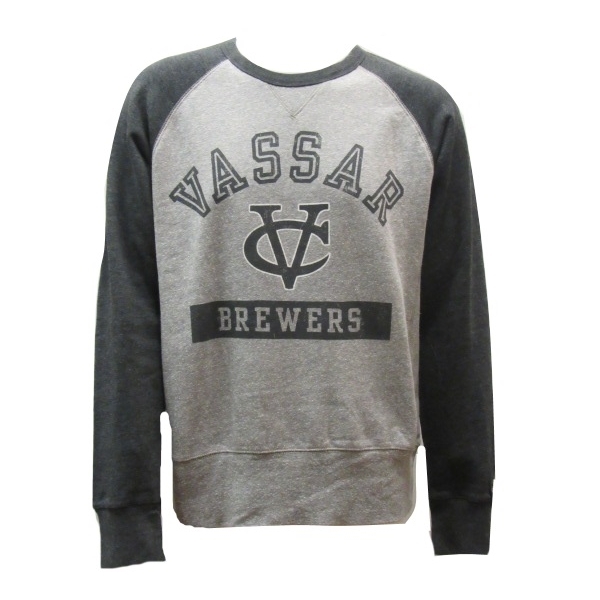 Please select option for LEAGUE STADIUM CREWNECK. 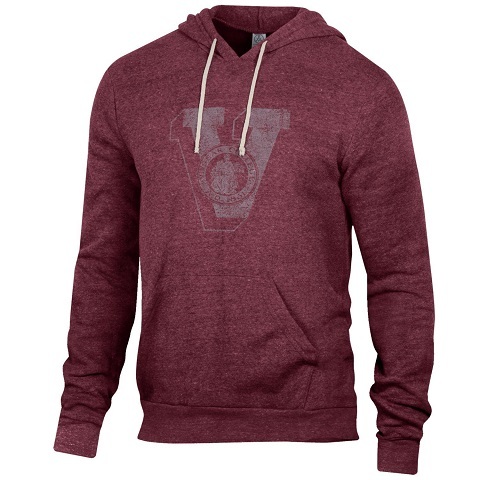 Please select option for LEAGUE STADIUM HOOD. 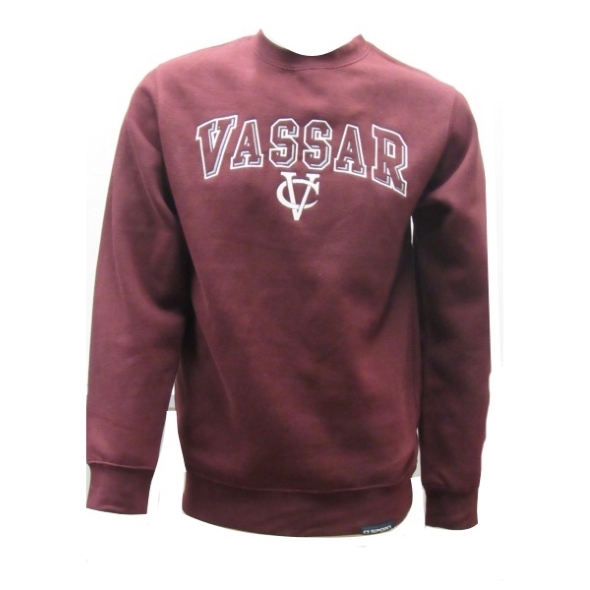 One of the softest Fleece we sell this LEAGUE Tri Blend Crew is accented with Maroon cuffs and Collar. 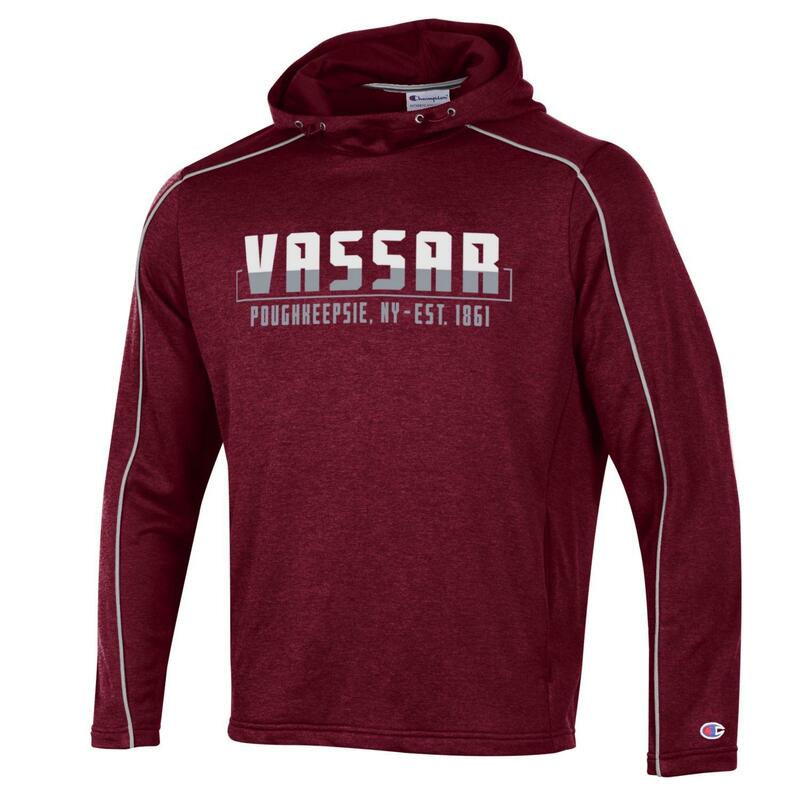 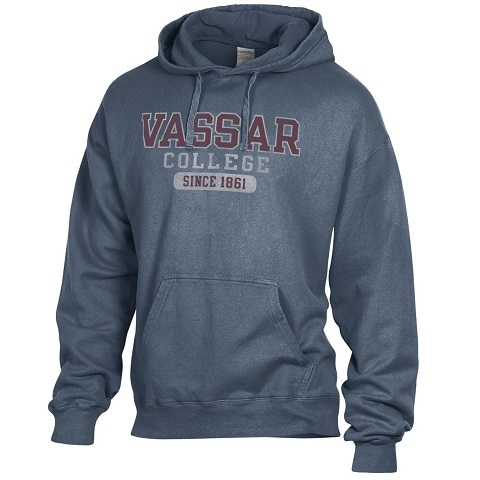 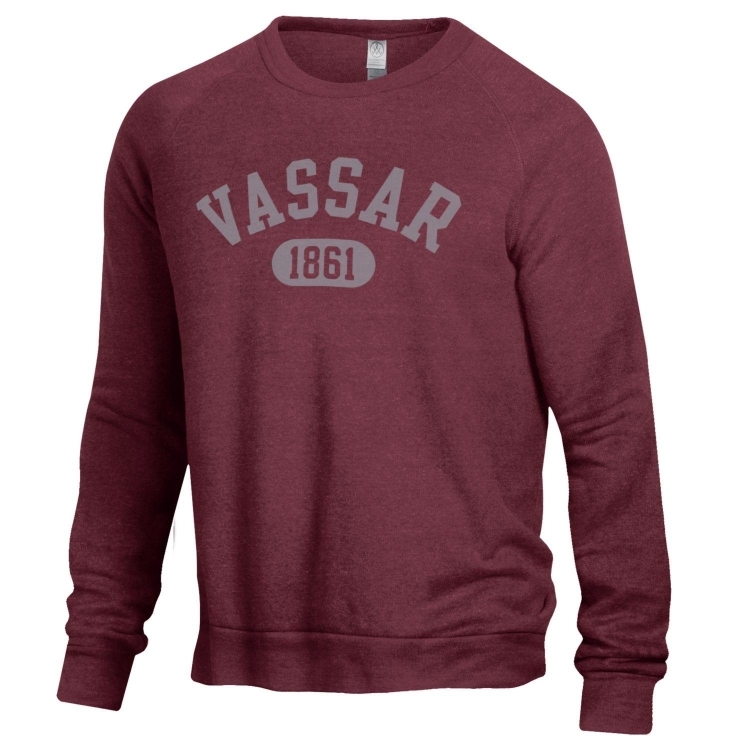 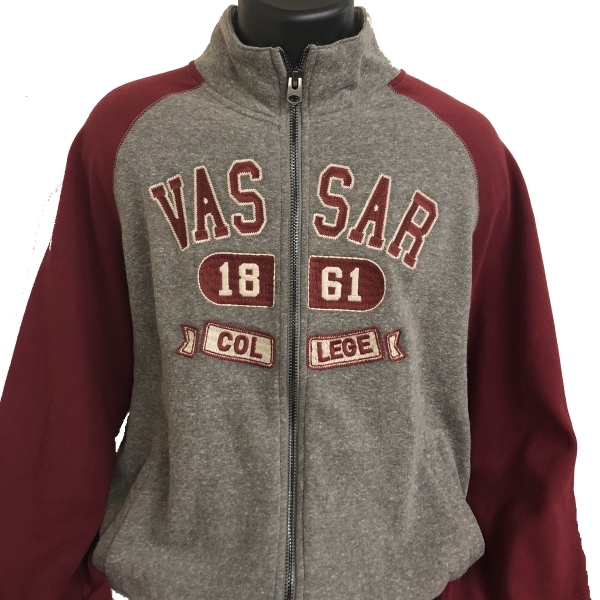 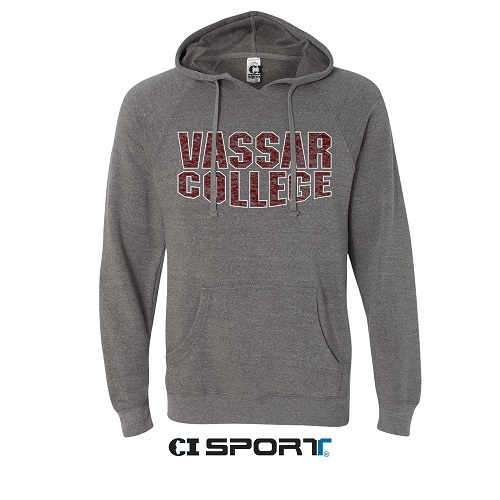 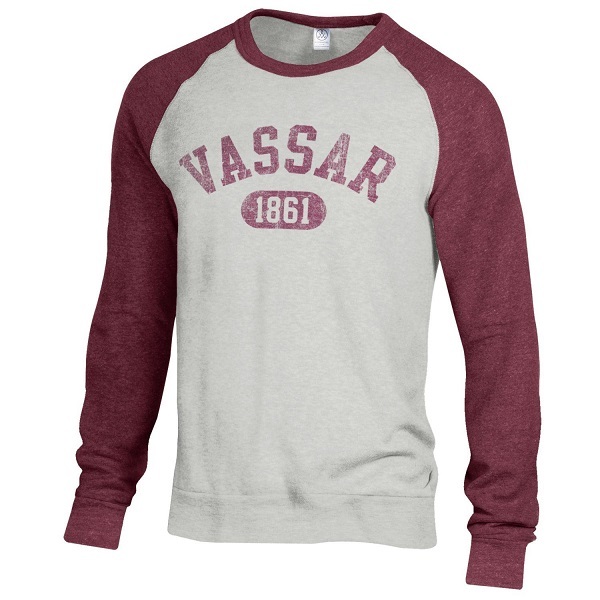 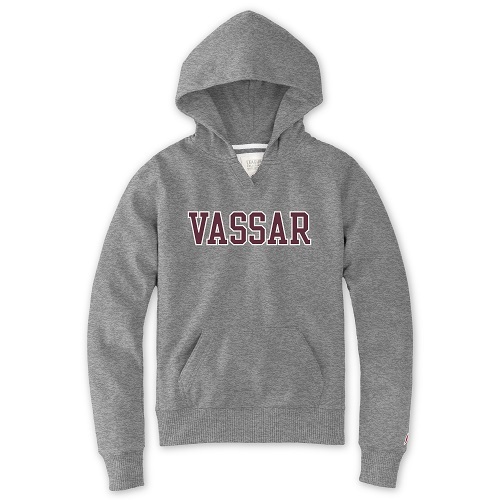 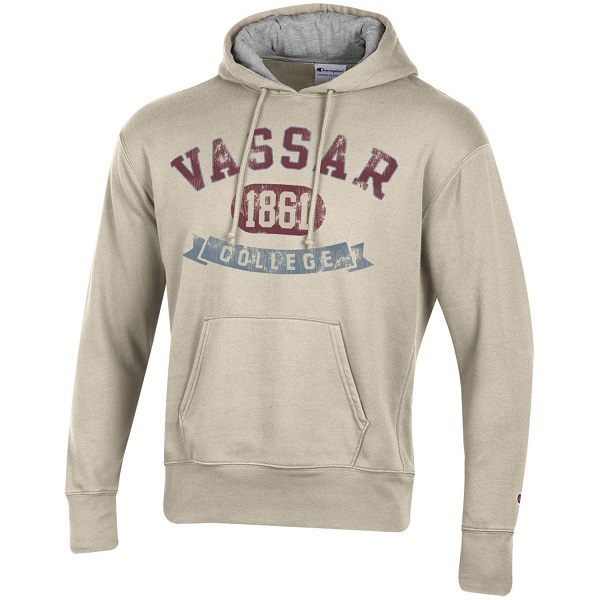 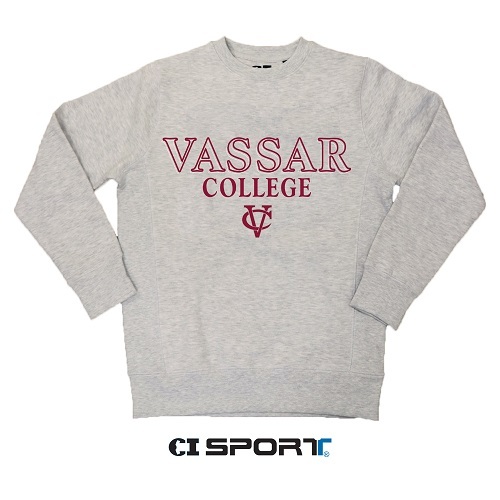 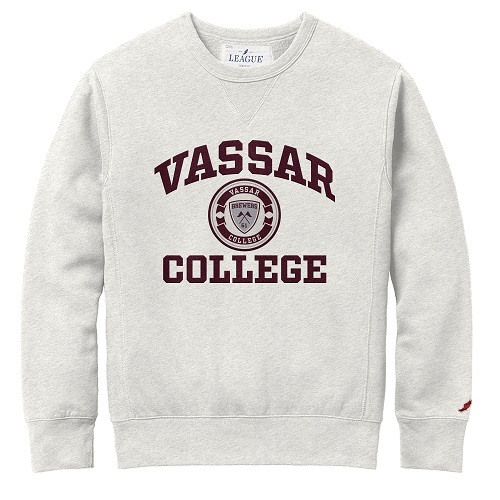 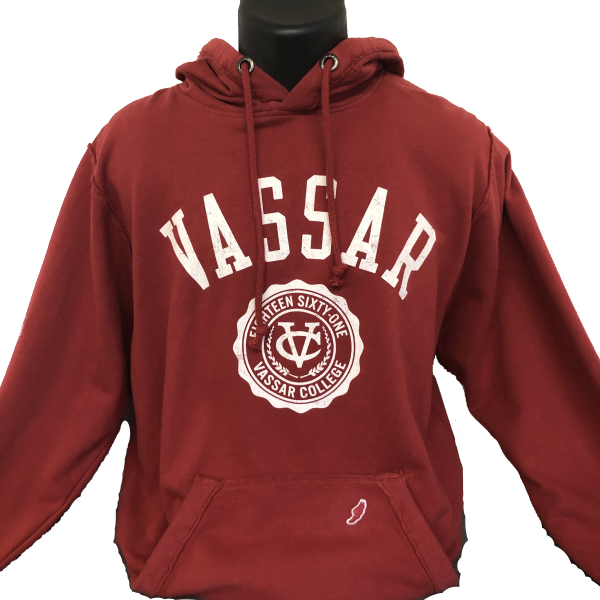 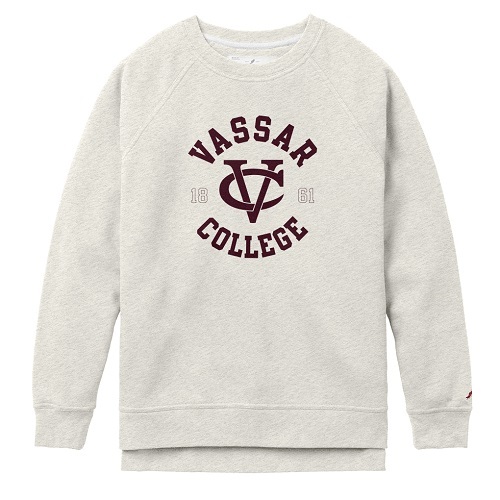 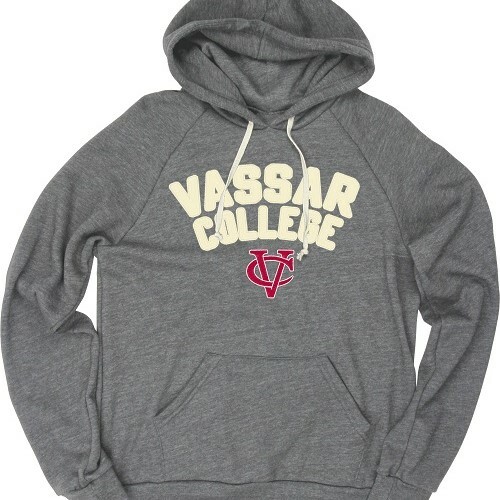 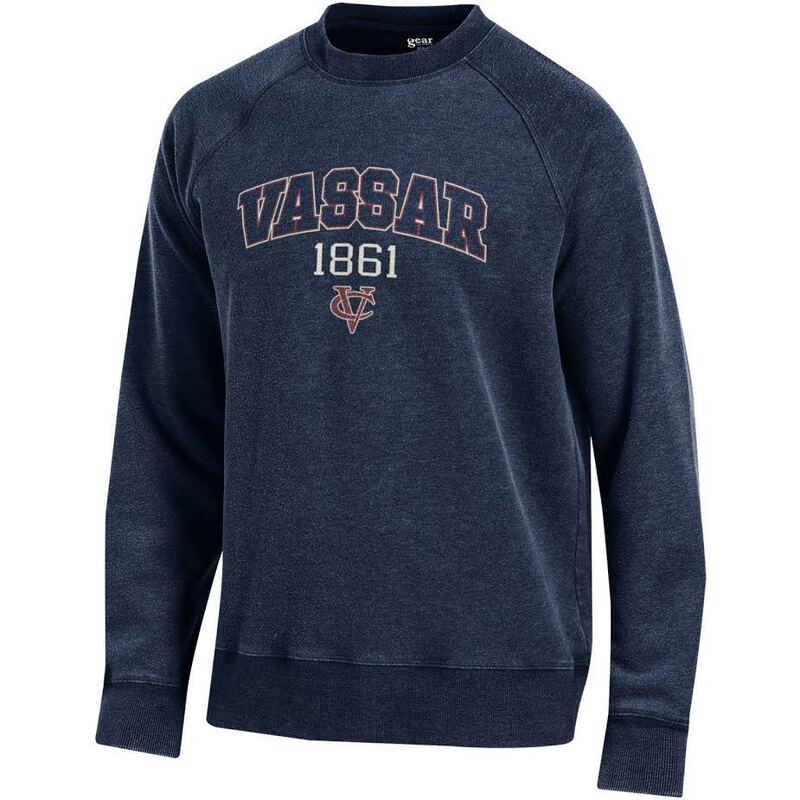 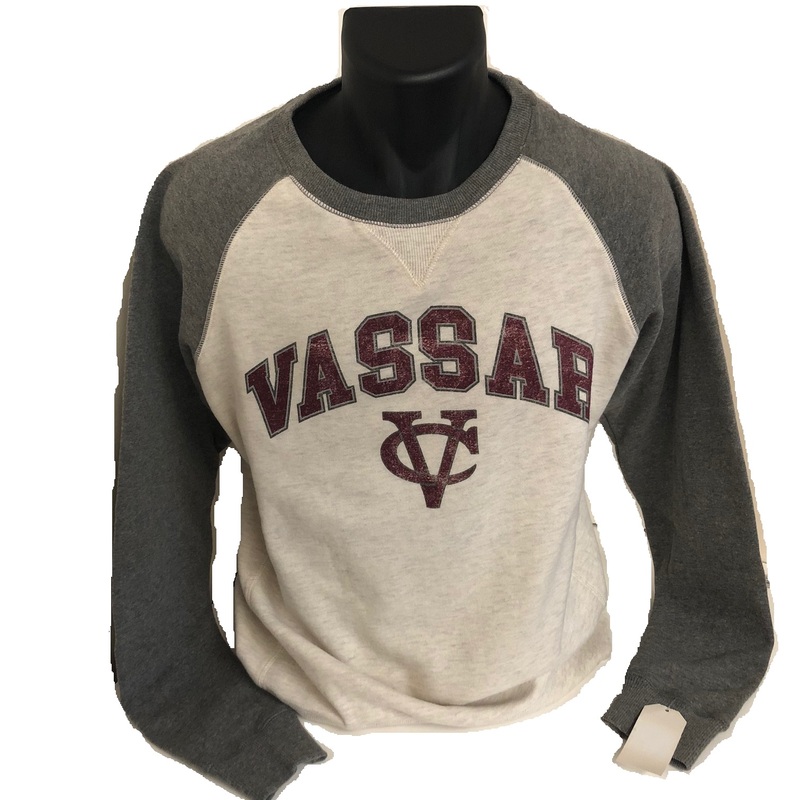 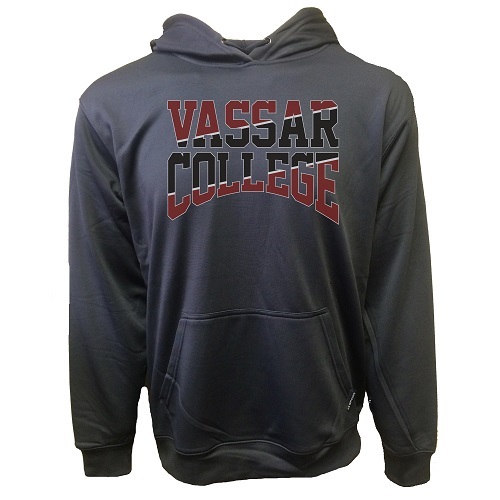 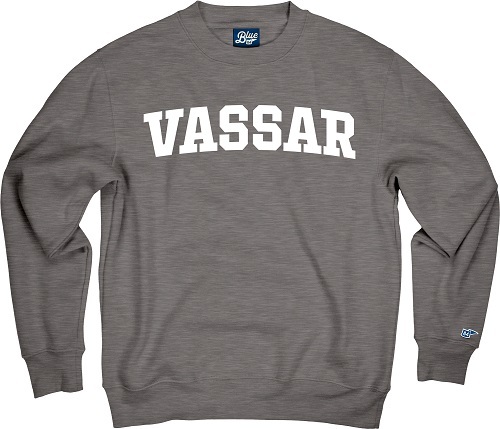 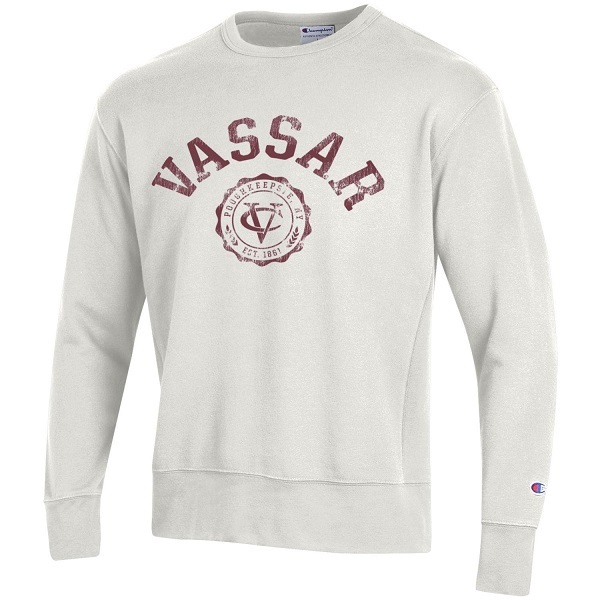 Matching exactly the Collegiate letter V with Vassar. 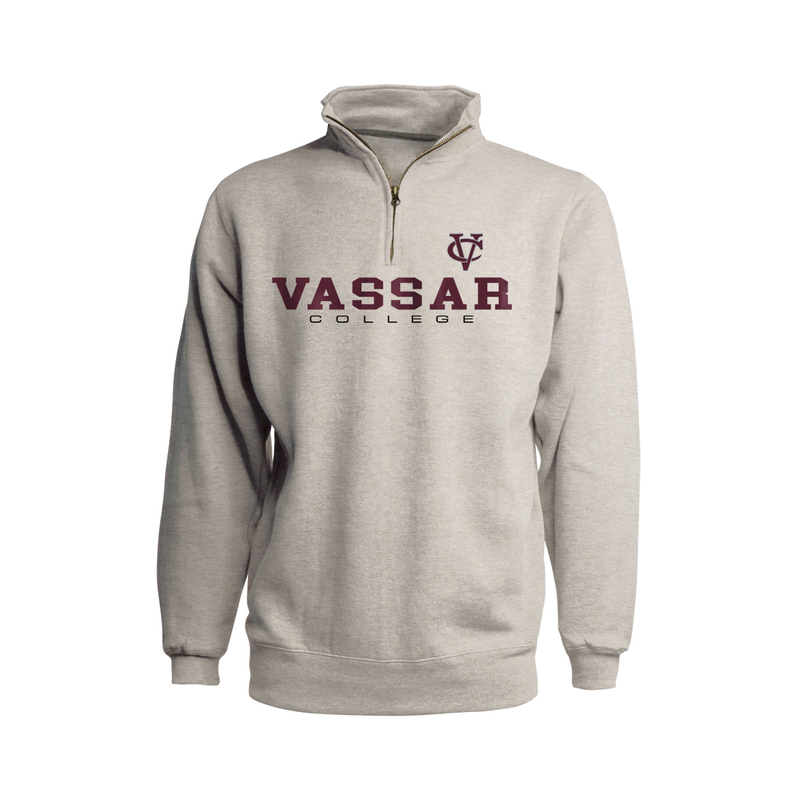 A simple but bold design, These are a special value and priced for every wallet. 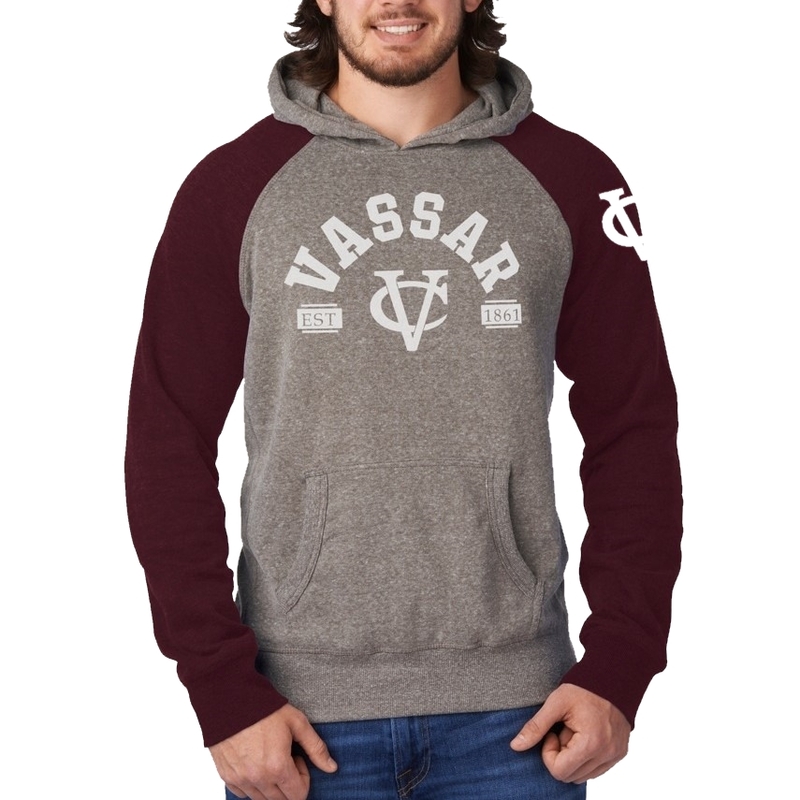 Please select option for LEAGUE TRI BLEND COLLEGIATE. 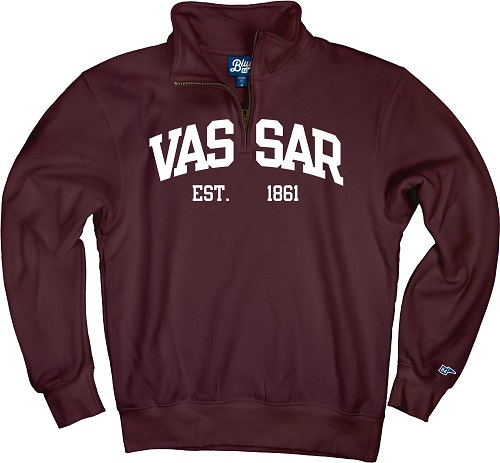 The appliqued and embroidered Logo is just the right accent to this comfy and cozy 1/4 zip. 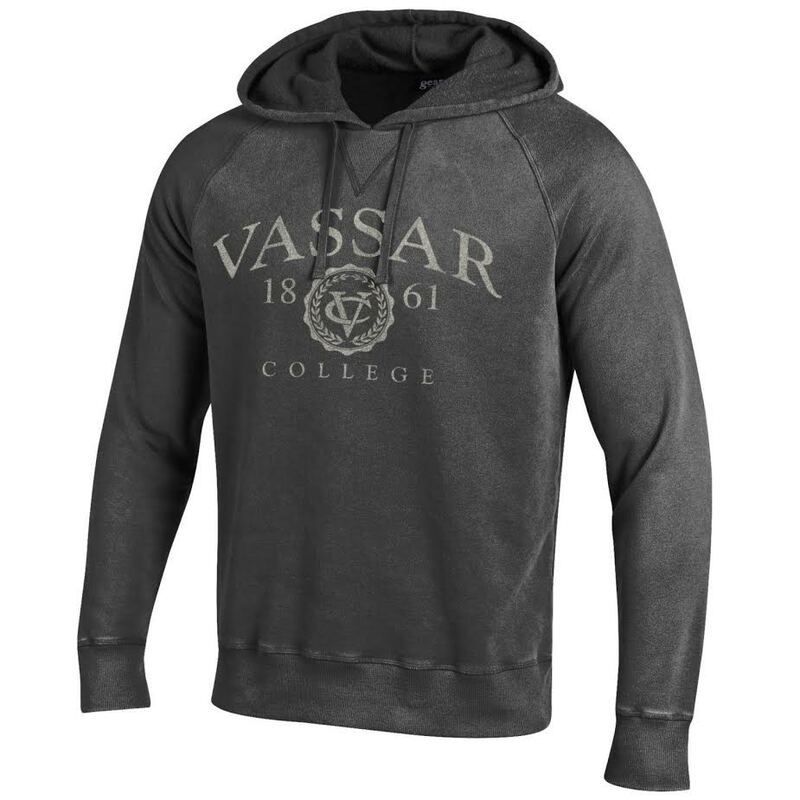 The color is deep and rich the fabric is the tri blend that you love from League. 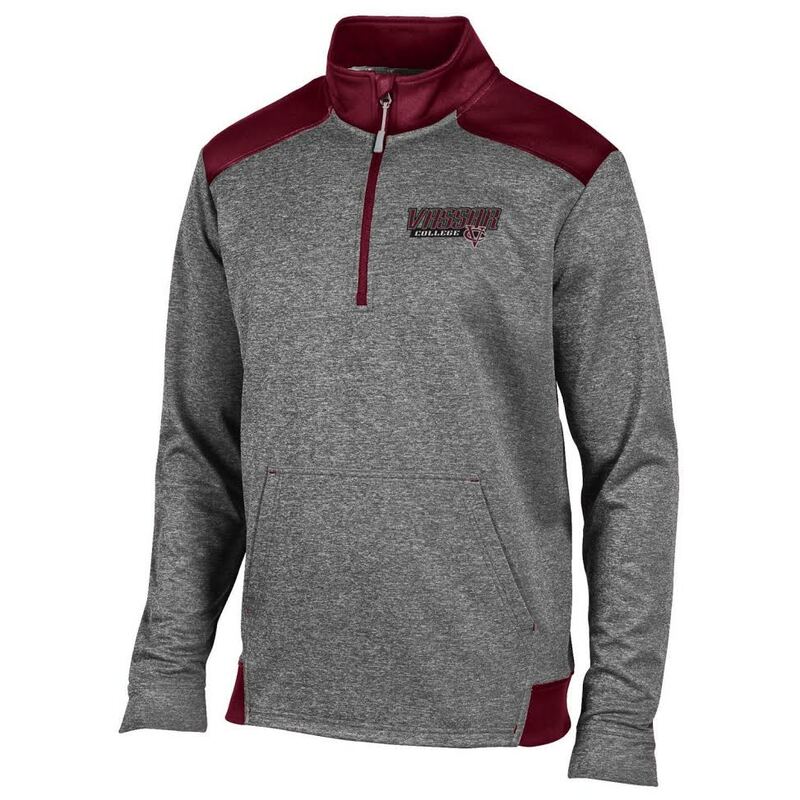 Please select option for LEAGUE TRIBLEND COLLEGIATE 1/4 ZIP. 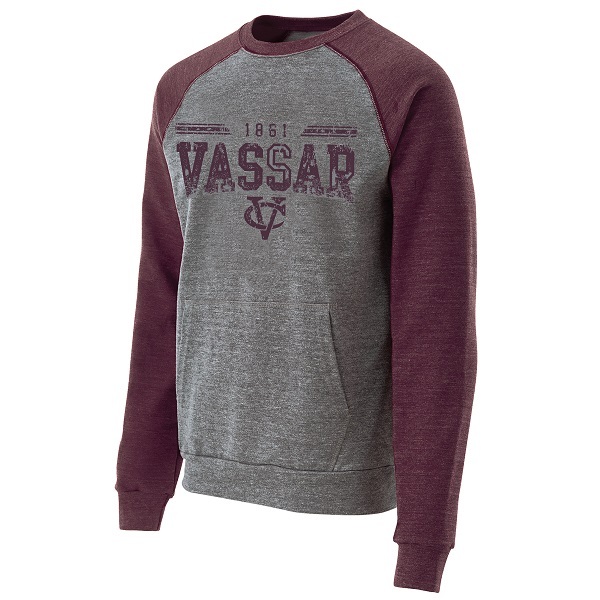 Please select option for LEAGUE TRI-BLEND CREW.